Federal prosecutors say the deputy director of the Hudson County jail used a website to illegally wiretap some of his fellow employees. Kirk Eady turned himself in today and made his initial court appearance, where bail was set at $100,000 unsecured bond and he was order to surrender any firearms. Eady has been suspended without pay, Hudson County spokesman James Kennelly said today. Eady earns $120,000 annually. The 45-year-old East Brunswick man, who was a star high school basketball player in Hudson County years ago, is charged with intentionally intercepting the wire, oral or electronic communications of others. 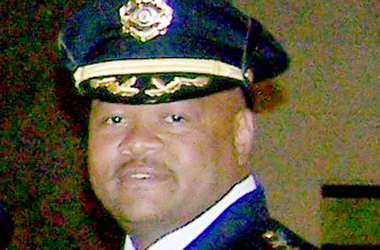 The Jersey Journal reported in March 2013 that the FBI raided Eady's home and seized two computers, an external hard drive, and bank account statements from his office at the jail. Prosecutors say that between March and July 2012, Eady used a publically available website to place telephone calls to four Hudson County jail employees. The website allowed Eady to conceal the telephone numbers from where the calls originated and also call and record two people simultaneously. The site also made it appear that those people, and not Eady, originated the call. Eady, who has worked at the jail for more than 24 years, recorded these telephone conversations and did not inform the Hudson County Correctional Center employees that he was recording them, prosecutors said. They also claim Eady admitted to a cooperating witness that he had recorded conversations with three employees. The illegal interception offense with which Eady is charged is punishable by a maximum potential penalty of five years in prison and a $250,000 fine.